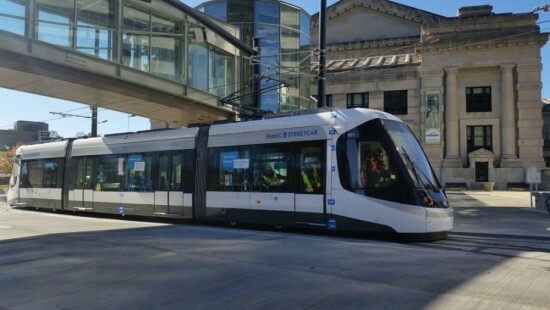 According to the American Public Transportation Association, a public transit advocacy group, there are more than 90 cities in the United States that are actively considering implementing streetcar systems. Of those 90, over a quarter are in the Midwest. Though all in different stages of planning, development, and construction, a handful are well underway, with service beginning as early as 2016. Kansas City and Cincinnati are both in the process of live testing their newly manufactured cars, while Milwaukee debates expanding its current plans. Though hundreds of cities across the country once had streetcars, by the 1960s most had been dismantled with the rise of the private automobile and public bus systems. 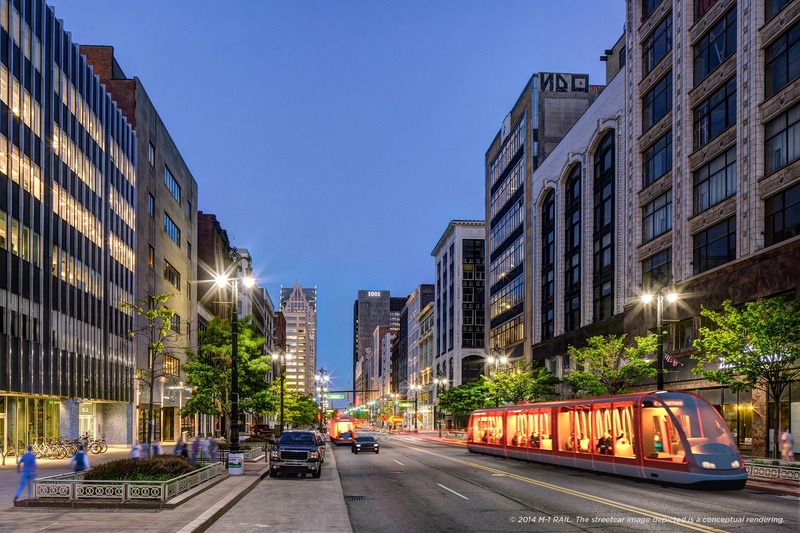 The current renaissance of streetcar construction is often attributed to cities interested in bolstering downtown transit options, and encouraging more ecologically sustainable modes of transportation. Downtown Kansas City, Missouri, may be the first of the new Midwest streetcar lines to open in early 2016. Dubbed the RideKC Streetcar, the light blue electric trolleys will services a 2.2-mile street along Main St. The system will have four cars running between 16 stops for 18 hours a day. Similarly to streetcars of the past, electricity will be drawn from overhead wires. Unlike past services, the new cars will be wi-fi enabled and free to ride. This first leg of construction is being positioned as a first step in a much larger plan to link the entire Kansas City region with multi-model integrated transit system. Detroit’s new streetcar system will be unique in that it was masterminded by a private non-profit organization. The M-1 Rail, to open by 2017, draws on the economic power of small and large businesses along its route, philanthropic institutions, and a close tie with city government to realize a complex funding and administrative system for the public-private venture. At one point the project was envisioned to expand to a 9 mile route, with more involvement from regional transit partnerships. After multiple feasibility studies it was found that, for economic reason, the 3.3 mile current route was more viable, with possibilities of expansion in the near future. 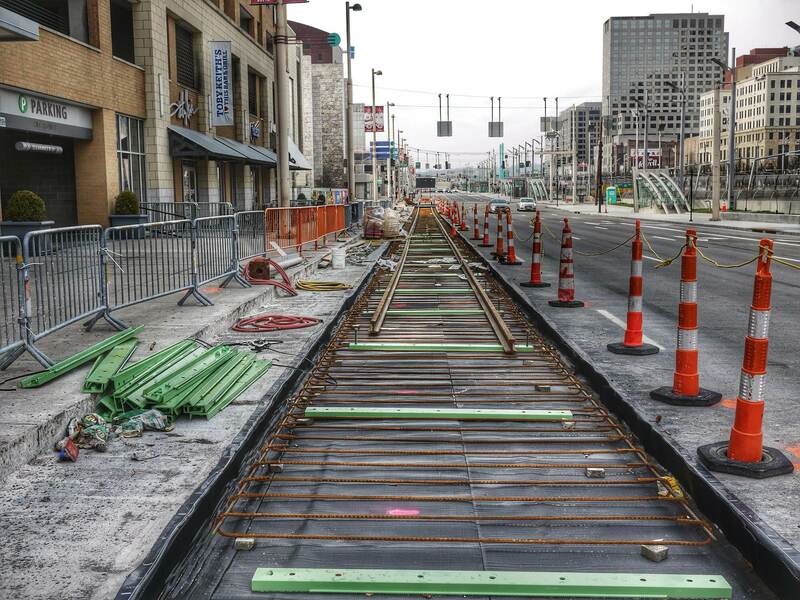 The path to building streetcar systems is often far from smooth. With resistance from state and local governments, it took Cincinnati voters electing new city councilors and rejecting multiple anti-rail ballot initiatives to realize their new transit system. With discussions starting in earnest in 2007 and construction starting in 2012, it will be nine years in the coming when the system finally opens in September 2016. The 3.6 mile loop will service the Over the Rhine neighborhood and the downtown, highlighting the original intent of the system to encourage development in both districts. The Over the Rhine neighborhood, a member of the National Register of Historic Places, has been experiencing a renaissance in the last 10 years, after decades of struggles with crime and declining population. 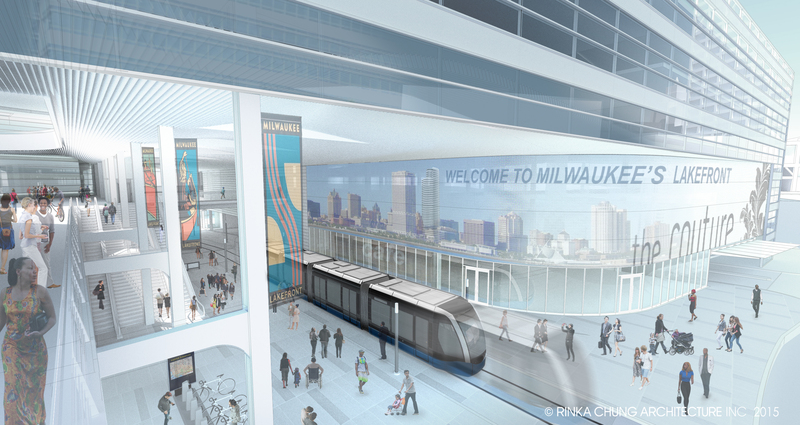 In the case of Milwaukee’s streetcar project, set to open in 2018, the resistance has not been coming from the government as much as from a small group of vocal opponents, who have taken issue with the $124 million project. Though, with a recent failure of a petition to stop further expansion of the already approved first leg of the system, the opposition seems to have dried up. 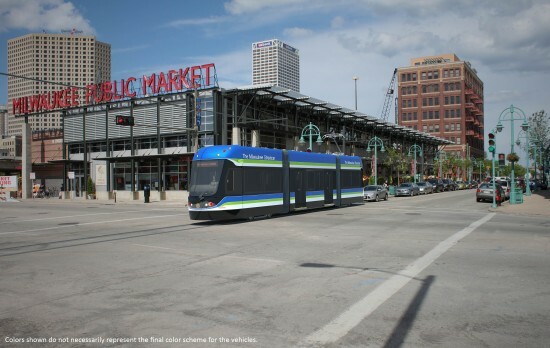 The majority of the funding for the Milwaukee Streetcar is coming from U.S. Department of Transportation grants and Tax Incremental Financing (TIF) Districts. The city and the federal government are betting on the street car to relieve vehicle congestion and pollution while raising property values along the route. Anticipating the rail’s impact on downtown Milwaukee, a 44-story residential tower by local architects Rinka Chung is planned to begin construction in 2016. 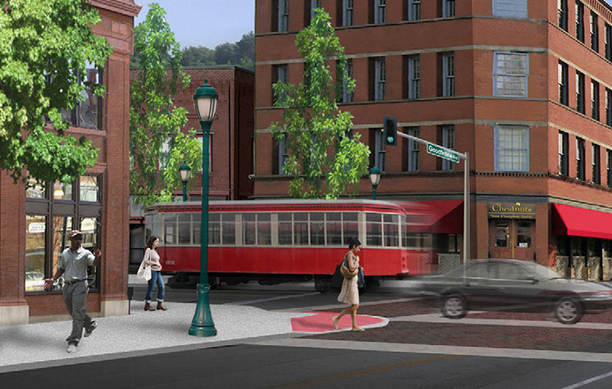 The base of the project will integrate a streetcar stop along with shopping and office programs. Though it may have been 50 years since many U.S. cities have had street cars, the next five years will see large moves to reverse that situation. Along with KC, Cincinnati, Milwaukee, Detroit, St. Louis, MO, and St.Paul, MN, are making moves to implement their own streetcar systems. With the rise of the suburbs and automobile travel often being blamed for the decline of the streetcar, it would seem that this new trend might be pointing towards yet another indicator of the tendencies of contemporary city dwellers. A greater environmental consciousness, neighborhood investment, and a shifted understanding of economic stability, define the values of a young population that streetcar systems across the Midwest, and the entire country, hope to leverage into success.